Now has it's own page on the Internet Movie Database. There is nothing there at all- just the title, date, and that it will be produced by the BBC. Nothing new, therefore, but news might break there in the near future. Also, somewhat new, I have a report from Yorkshire than filming began two weeks ago outside of the reporter's village. Correction, there is one bit of news- if the page is to be trusted, Jane Eyre 2006 will be a mini-series. On a lighter note, I've been thinking how odd it is that we have no interviews with Ruth Wilson yet, but we have two descriptions of Toby Stephens' sideburns, grown especially for Jane Eyre. I wonder if he will merit a write up in Chops Quarterly. CQ is an internet blog with no posts whatsoever, but a fabulous mandate to celebrate sideburns of all shapes and sizes. 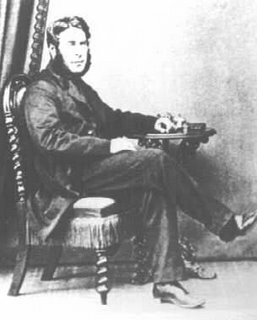 Although they haven't been updated much, especially when they were founded in 1854 and there still aren't any posts (well, to be fair, there wasn't an internet then either), I have already learned so much about sideburns! For instance, I always assumed that any long, wooly sideburn was a 'mutton chop' but this is not so! Mutton chop refers to having two long sideburns joined via a moustache. As they had on other impressionable young girls, the romances of the sisters Brontë had a tremendous impact on Burnett. As one of her biographers noted: “Principal themes in the fiction of Frances Hodgson Burnett were forecast in seven books published within two years of her birth . . . (and) the authors of these works would be among the most important in shaping her fiction—[these included] Charlotte Brontë’s Jane Eyre (1847), Emily Brontë’s Wuthering Heights (1847), and Charles Dickens’ David Copperfield (1849-50) . . . .” Born during Charlotte Brontë’s lifetime to parents keenly aware of the contemporary literary scene, daughter of father who may have been related to one of Patrick Brontë’s curates, young Frances spent the first fifteen years of her life less than thirty miles from Haworth reading romances. More than one scholar has identified and described “the echoes of Jane Eyre in The Secret Garden” but the contribution of Wuthering Heights has been less recognized. 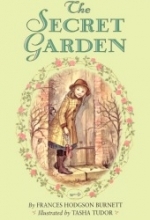 Susan E. James draws comparisons here between Wuthering Heights and The Secret Garden. Since I will not get another opportunity to point this out, The Secret Garden (from 1991) happens to be one of the two musicals constantly compared with Jane Eyre: The Musical (the other musical is Les Miserables). Two recordings are available on amazon.com- such as the Broadway Cast, and the Royal Shakespeare CompanyRevival/London recordings.